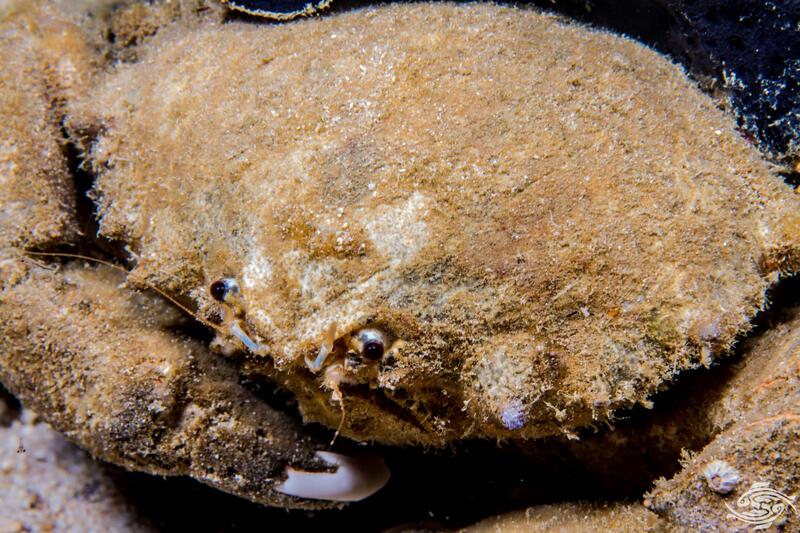 The Sponge crab Lauridromia dehaani is not often seen due to their nocturnal habits. 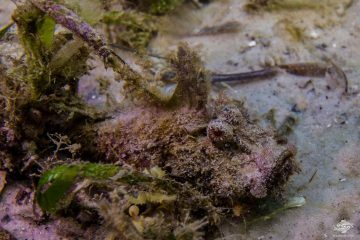 During the day they hide in crevices or holes and are usually only seen at night. 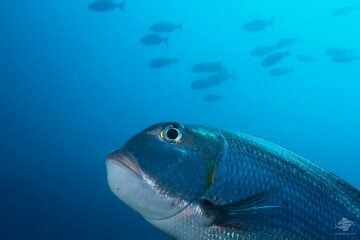 As their name implies they decorate themselves with a piece of poisonous sponge which they trim off a live sponge. 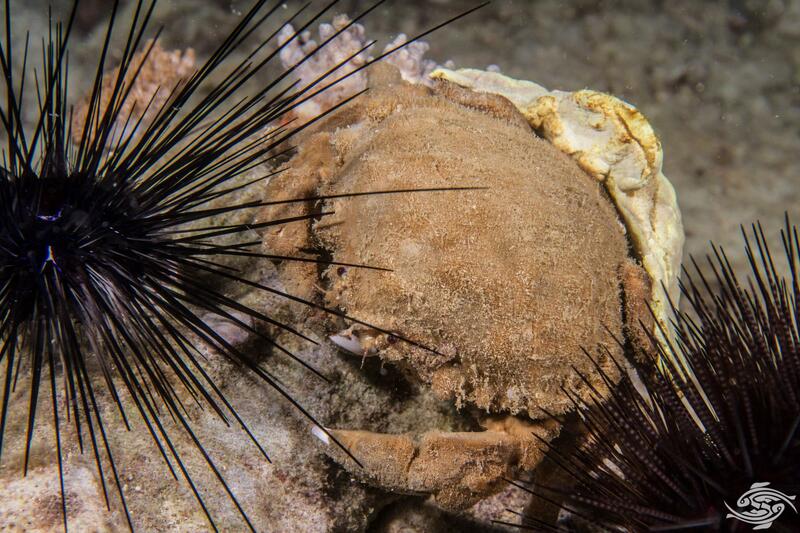 The poisonous sponge acts as a deterrent to predators. This behaviour is known as Aposematism. If the sponge is removed from the crab it will immediately attempt to obtain another piece. 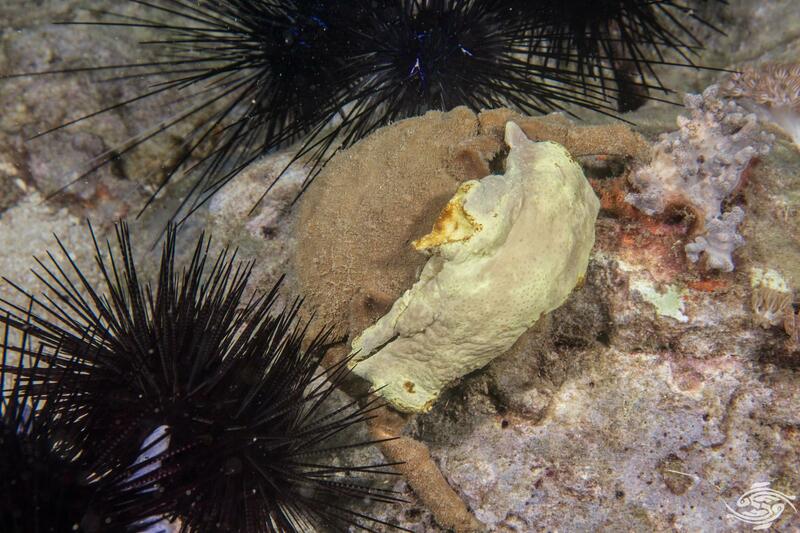 The dome shaped carapace is covered in fine hairs which assist the sponge to grow onto the carapace. 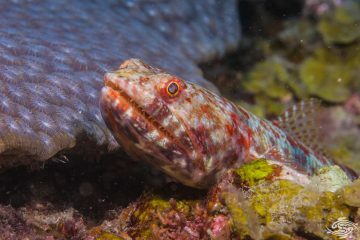 The rear legs are a adapted to hold the sponge onto the body. The largest specimen we have seen has been approximately 15 cm in width. The edges of the chelepids are a pinkish white colour. 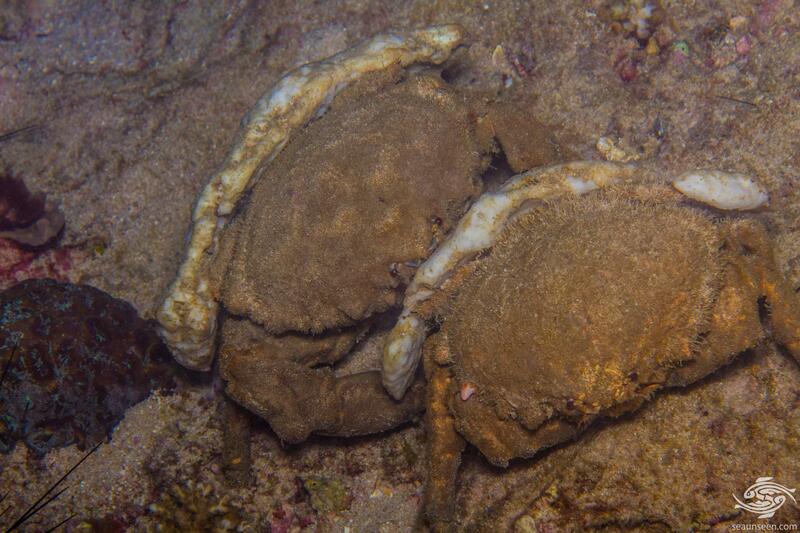 Sponge crabs are usually only seen at night, during the day they hide and are well camouflaged. 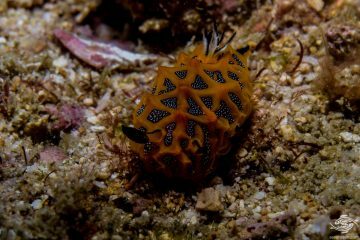 When found they will usually scurry away or seek shelter even if it is behind or between sea urchins as the one in the images is doing. They have a very ungainly walk and have a grumpy look about them. 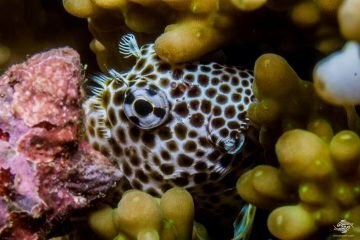 They are usually only seen when they move, they do not enjoy the light from ones dive lights and head for cover once the light hits them. The size of the sponge varies greatly and some crabs appear to be better than others at trimming the sponge to fit them. 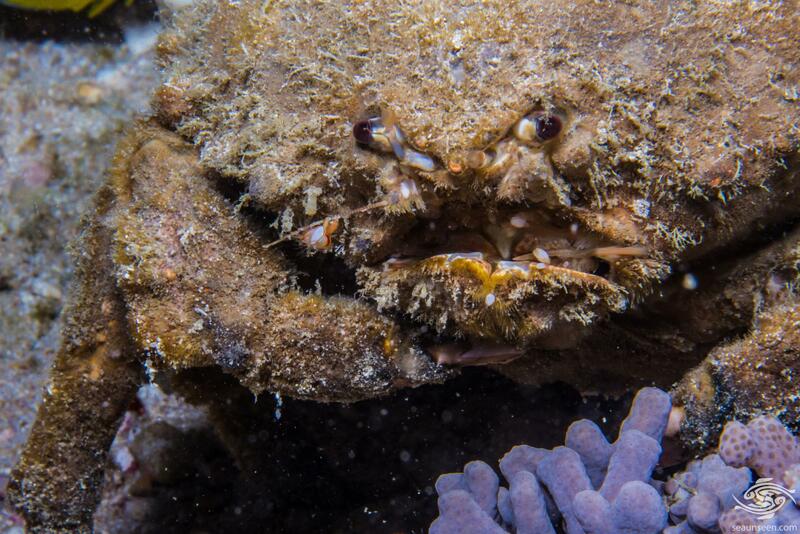 The sponge crabs are found on coral and rock reefs across the Indo-Pacific. 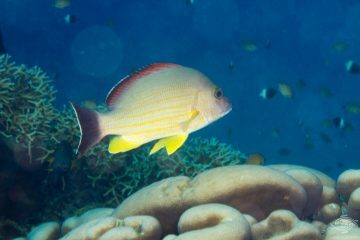 They are usually seen in the rubble areas on reef tops. 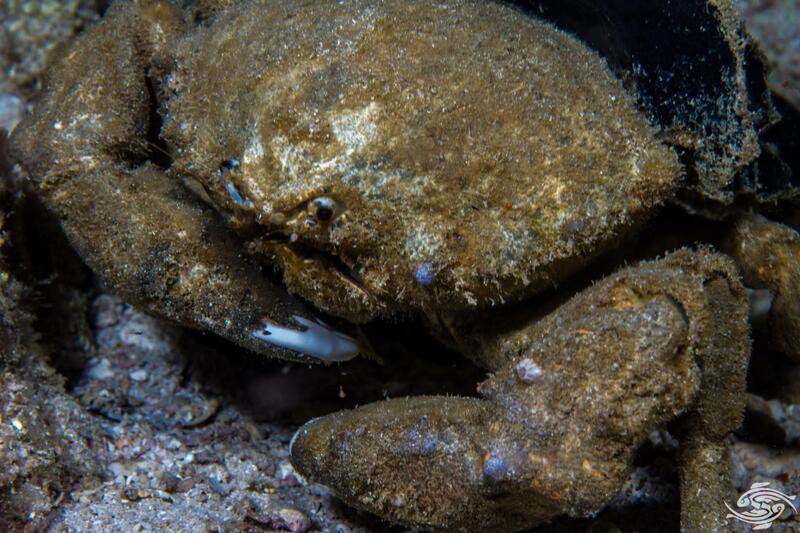 The sponge crab is carnivorous and although they are mainly scavengers, they will break open and eat any mollusc that they can open. 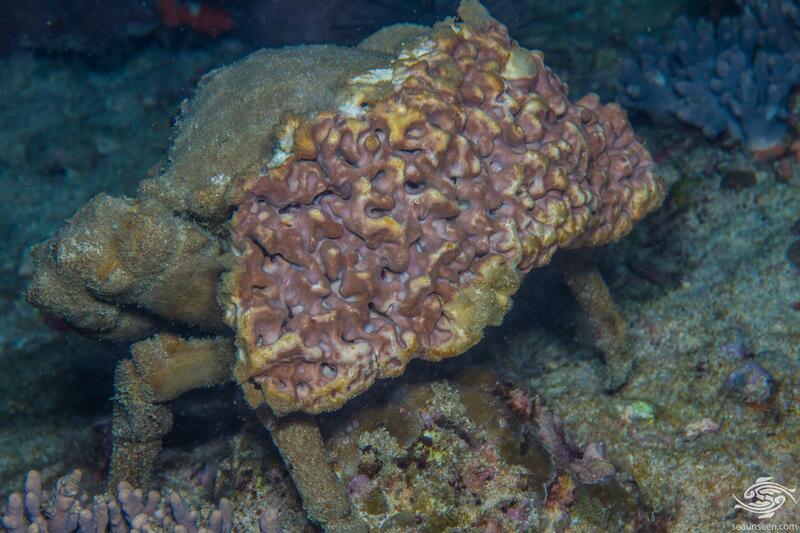 Very little is known of the reproductive behaviour of the sponge crabs. The crabs in the image above appeared to be mating. 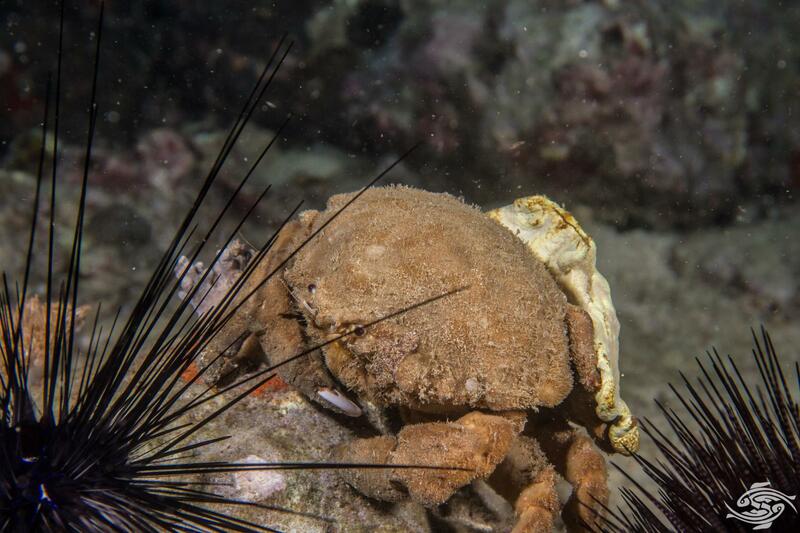 The larger crab approached from behind and the smaller crab then turned to face it. Uusually these crabs head off when there is a light on them but these two ignored the light. After mating takes place and the eggs are fertilised they are kept on the underside of the female. After hatching the larvae go through a planktonic stage before maturing into young adults.